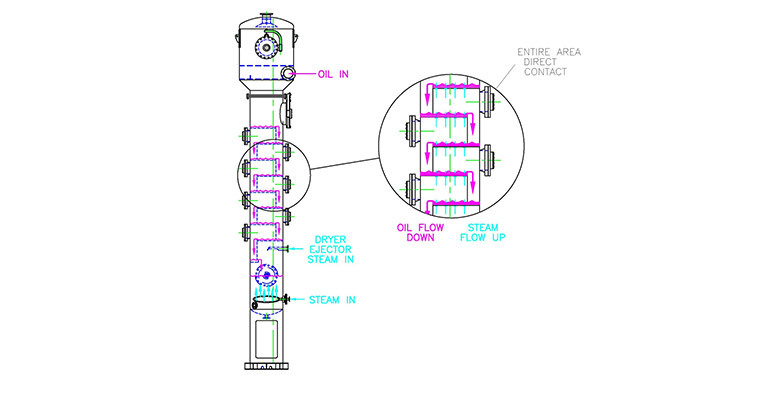 The Crown FVS Oil Stripper is the latest development in oil-stripping technology for the vegetable oil industry. The FVS utilizes 100% direct contact of steam-to-oil for hexane flashing and 0% surface-area flashing. And, with a full range of sizes for all plant capacities, there’s a Crown FVS Oil Stripper that’s right for you.